​Scroll down to read more. ​​Want to see some footage of us in action, supporting universities? Want to know how collaborating with Push can you help? ​dozens of universities. Want to find out more? ​Push is a refreshing and powerful way to support widening participation and outreach initiatives. We are a not-for-profit organisation that supports school-leavers and students, particularly those from disadvantaged backgrounds. Helping young people to make well informed decisions about their futures and to develop the skills and resources needed to make their choices a reality is the goal of our sessions. We inspire students who would never have thought of university before to now consider it. We want the right people to go to the right institutions so that they're set on the path to personal and professional success, which every higher education institution should want from their applicants (and non-applicants) too. Click here to hear details of how we worked with some of these universities. ​Each year we visit hundreds of schools and colleges to deliver sessions and interactive training to inspire, engage and inform 1,000s of young people on the benefits of going to university. We also connect them with well-suited opportunities. Visit our the history of Push page to see where we've been in the last five years. ​Higher education institutions are now bound by OFFA (Office of Fair Access) to ensure they provide high-quality (and innovative) outreach to schools and colleges, in the most impartial manner possible. HEFCE has specifically highlighted that this outreach should be with respected third parties, to ensure a more independent tone and not subtle marketing. 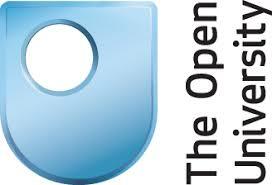 Push are an excellent delivery partner, as we meet both OFFA and HEFCE specifications. By combining your outreach and widening participation initiatives with Push, you’re also hugely helping schools. They are required by Ofsted and DfE to provide impartial and independent careers education. This can be a barrier to some HEIs going into schools, as they are not fully impartial. By helping Push speak to more students about university, you’re not only ticking your OFFA and HEFCE boxes, you’re helping a school tick theirs. Here’s a quick two-minute snapshot of who we are and what we do. ​Go on, watch us work our magic. Here’s a trailer for the inspirational comedy careers day we ran for students at Birmingham City University. Don’t just take our word for it: the laughter speaks for itself. ​​HOW CAN WE SUPPORT YOU? We work with universities to reach a wider range of schools and sixth forms, spreading an independent, impartial message that meets the needs of each institution. We merge our careers education information with examples of your strengths as an university, and match you with the best fit students. 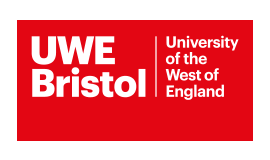 For example, for the University of the West of England (UWE), we visited 15 schools to deliver our popular sessions; 'Why Go To University' and 'Choosing A Uni'. We understand that engaging hard to reach schools is a priority. Push are proud to work both with university outreach teams and NCOPs to support set initiatives, and we achieve this through our independent live sessions which are both impartial and cost effective. 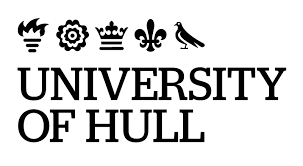 Currently, we're currently working with FORCE in association with the University of Hull, where we're visiting a continually increasing list of local, targeted schools. FORCE is part of the National Collaborative Outreach Programme (NCOP) scheme and is a regional network covering Humberside and parts of Yorkshire and Lincolnshire. They aim to support pupils in achieving their potential through raising aspirations and increasing participation in further and higher education routes. We run training sessions for undergraduate students to increase awareness of their own employability and how to develop it. We run these highly engaging and fun sessions either as a one off event or as a program over several weeks. For example, at Birmingham City University, we ran an evening that consisted of a mix of comedy and careers. This was held in the student union bar, where the student feedback averaged at 4½ out of 5 for satisfaction and enjoyment. Click here to see video footage. One of our student testimonials read: "Really enjoyable & helpful session. After that session I will definitely change the way I think. All the information & advice was really helpful. Really good speech from all the people that made & arranged the meeting. Positive people make it easy for 4 hours to go so quickly." 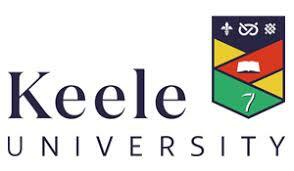 After our live engagement, we offer a follow up service of information and advice via email, directly to students. We currently have over 7,000 UK students that have opted into receiving Push Post, our free monthly newsletter which features our latest blog posts. We also have our Student Zone on this website for students to access anytime along with regular 90 Second video guides on hot topics. For HEIs, we’re able to capture a significant amount data from students (with their permission), including direct email addresses they may provide us with, should they like to be contacted about more opportunities from your institution. 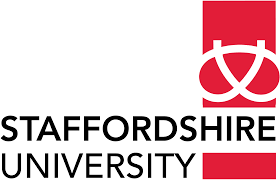 Our data collection offers a cost-effective and simple solution for HEIs who are struggling to reach certain student demographics – we inspire students and inform them of the differing and exciting opportunities the university experience offers, then gather details of the ones who have specifically expressed an interest in your institution. Once collected, we hand the data over to your team within days, either collated or raw depending on your preference. With this, you can follow up with the young people who feel you offer exactly what they want from the next few years of their lives. How do you produce an 'employable' graduate? What is it? And, is it something that affects young people's decision-making when choosing a university (or even to go in the first place?). 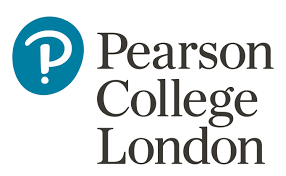 In an article for Pearson, Our Chief Executive argues that "higher education is good at producing employable students...the problem is that it is all a bit of a mystery". Read "Threading employability into the tapestry of higher education" here.